While I’m still having a ton of fun out here on the road, my mind set has changed about the trip. I’m going home now. I’ve been through much of northern Idaho and just a touch of Montana and it’s time to turn the bike west and head back to Seattle. I’m trying to avoid the freeway for the most part as you do lose a bit of the flavor from the trip by sticking on the slab. I’ve met more than a few good folks on the V-Strom2 mailing list. One of the great things about traveling and having a group is that there are always folks along the way to meet that you chat with online. I’ve got to be on the road at 9:45, the earliest yet :), to meet Dan. 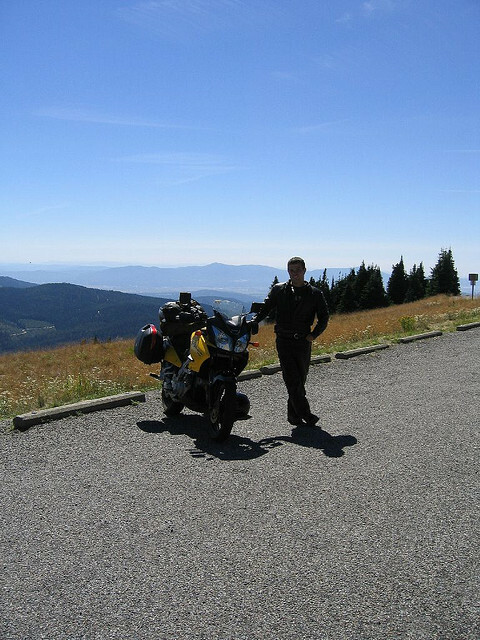 Dan Vessel lives over in Spokane so today we’re going to meet up and ride some of the area that top his list. 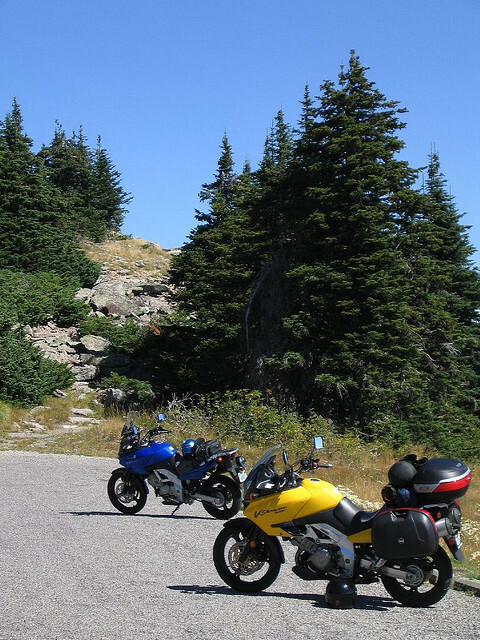 We ride out to Mount Spokane State Park. Eastern Washington is much drier than it’s western counterpart as the foliage is much more sparse and no where near as dense as it was in Seattle. The ride out to the park is on mostly tight windy road as we’re on back roads climbing up the mountain. 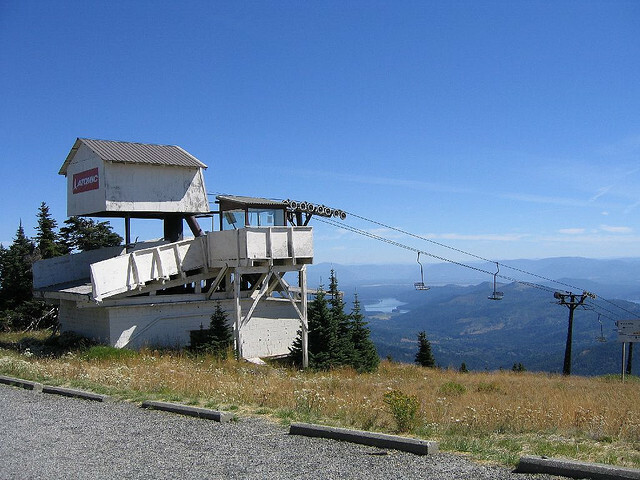 At the summit there’s a lodge and several dormant ski lifts. Also they have tubes you can look through to see the area lakes. We can see about 12 or so from the mountain. I start to head west in earnest about 1pm. I’ve got about 300 miles to go before I hit Seattle. Streets and Trips calls it a two day drive (including the part up Spokane Mountain). Tuesday’s drive to Spokane had the same caveat, but I pull the same &quot;I’ll be fine. 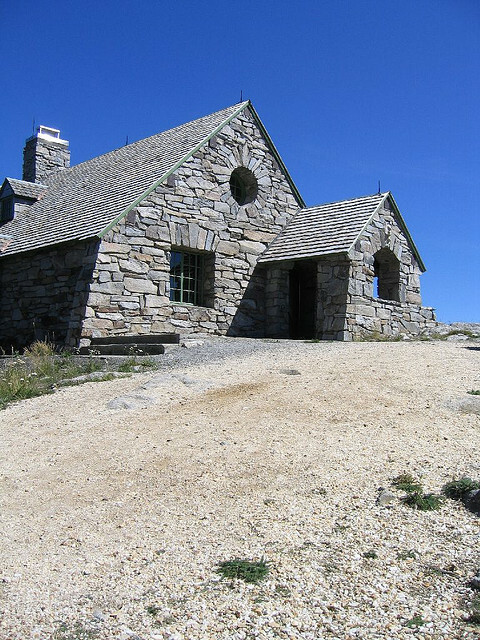 It’s just 300 miles 🙂 down a good federal highway.&quot; The first major burg out of Spokane is Davenport, about 40 miles away. I’ve done this stretch before. It’s the park of the road that is elevated and has drop offs on both sides without guardrails. About 5 miles into the ride ever rider’s worst enemy asserts itself: wind. The wind is really variable from the south and the heavy truck traffic on the road does not do too much to inspire confidence. I’m hoping that conditions improve as I can’t see myself dealing with this all the way back to Seattle. I stop for lunch at Safeway in Davenport. I eat the standard fare these days of some ham, cheese, nuts, Coke Zero, and an apple. In a small town they know who is not from around there. I fit that category. Here I am in my bike gear walking around the Safeway where everyone stares at me. It’s obvious I need to get myself in and out and back on the road. In the parking lot I see a kid in a minivan so I wave. He turns the other way and I think, wow, even the kids are not friendly here. He then turns around with a wave so I’m 1 of 300 or however many residents are in this small town. As Paul writes in the Bible, you’ll hit towns you like and ones you don’t. That is one town that I’ll be expressing the next time I’m in that neck of the woods. I get gas in the next town since I did not want to give another cent to Davenport and meet some of the nicest folks. The guy filling up his car next to me was telling me how he used to ride bikes and how he wanted to get a new Harley now that all the kids are gone. What a difference 10 miles makes. 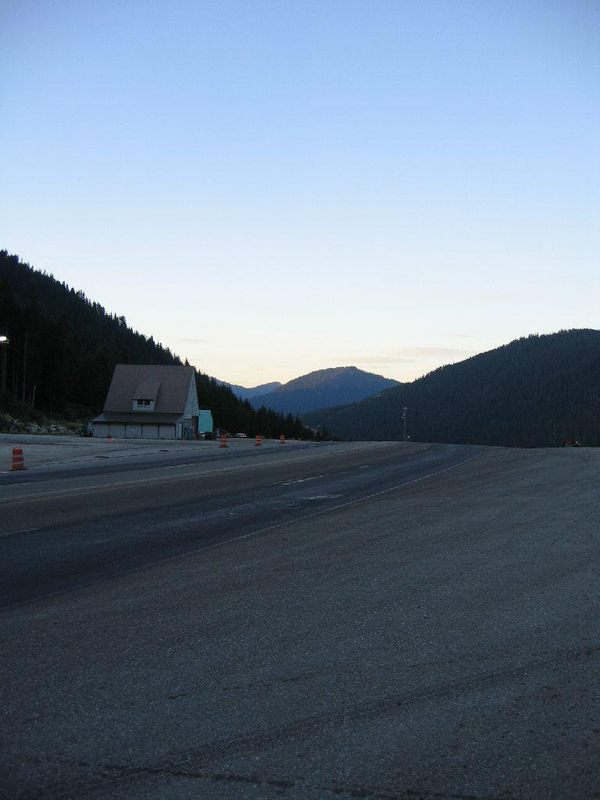 US 2 is about as straight as a road can get from Spokane to Wenatchee. It’s nearing 90 now. The night before a tractor trailer overturned in the one turn on the road when he fell asleep at the wheel. The truck rolled three times and closed the road for hours as it was still one lane open at a time some 18 hours later. I had no water and turned back to the nearest gas station to fill my camelback with some more. I ran across two riders doing the same thing I was, just in the opposite direction. They started in Seattle and were headed to Birmingham, Alabama. I hit the foot of the cascades with 100 miles to go in the town of Leavenworth. There is a wreck that has the road closed again (see a pattern?). It’s more slow and go into town. Leavenworth is a bavarian town at the foot of the Cascades, much like Helen is in Georgia. I swing into the pizza joint for a quick dinner as I don’t want to ride the pass in the dark. I get the chicken fingers and wow, they are a lot like the ones in Wallace, Idaho! Must be Sysco! 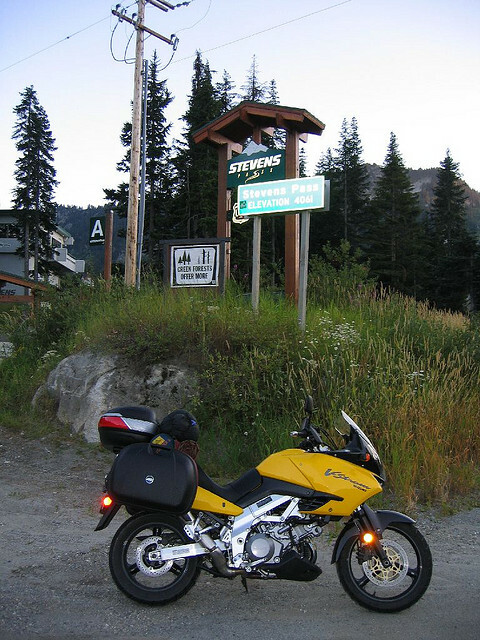 The ride up and over the pass is great. Washington takes great care of it’s roads and the air is a cool 65 degrees. The sun is just about set but shines strongly against the mountains. Once on the other side of the pass it literally starts to rain bugs. 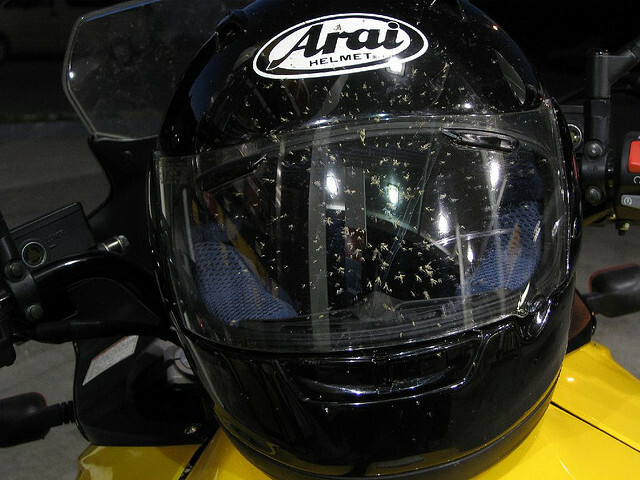 There are so many of them I have to clean my helmet every 20 miles or so. I pull into Seattle about 9:30, tired, but in much better shape than from when I did the ride from Seattle to Spokane!